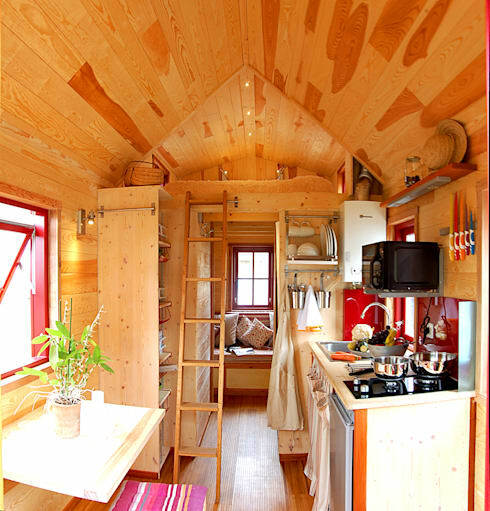 We just never tire of checking out tiny homes and little bedroom lofts. They are simple, incredibly efficient and most of all—they're totally cute! They also happen to be one of the biggest trends in home design at the moment. If you have a small home with a ceiling of standard height, don't despair! A lot of older bedroom lofts were built for homes with dizzyingly tall ceilings. But luckily, the huge amount of interest in loft beds has spawned a bunch of alternatives that can work for more standard-sized dwellings. 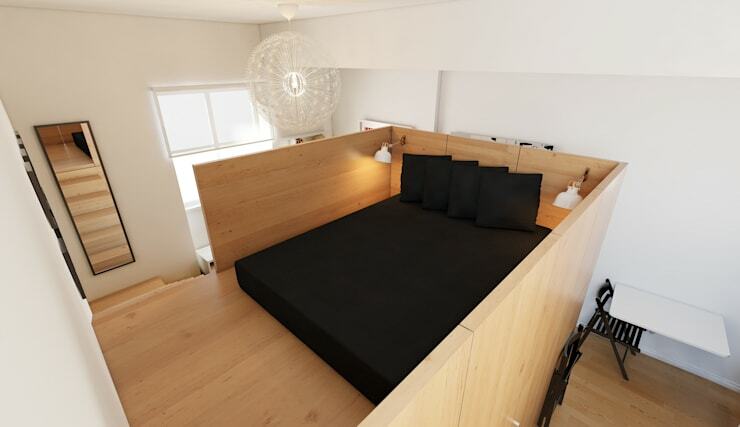 This tiny sleeping loft exudes all the style and efficiency of Nordic cool. All you need to create this look is an expanse of white walls, cute little built-in storage and a simple wooden ladder. 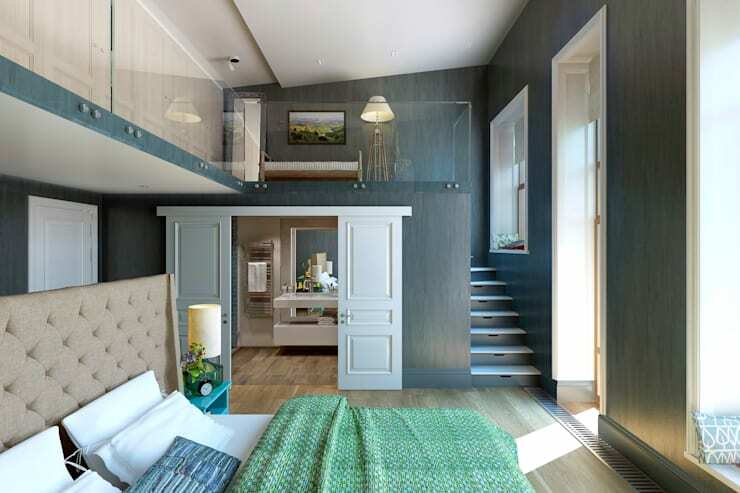 This Japanese-style bedroom loft is perfectly suitable for a home with standard height ceilings. It folds out from the wall and has a simple wooden ladder that can easily be moved out of the way. The biggest issues in creating a tiny bedroom loft are light and space. The floating wooden beams here allow lots of natural light to flow between the sleeping and living areas. They also help avoid making either space feel small or cramped. 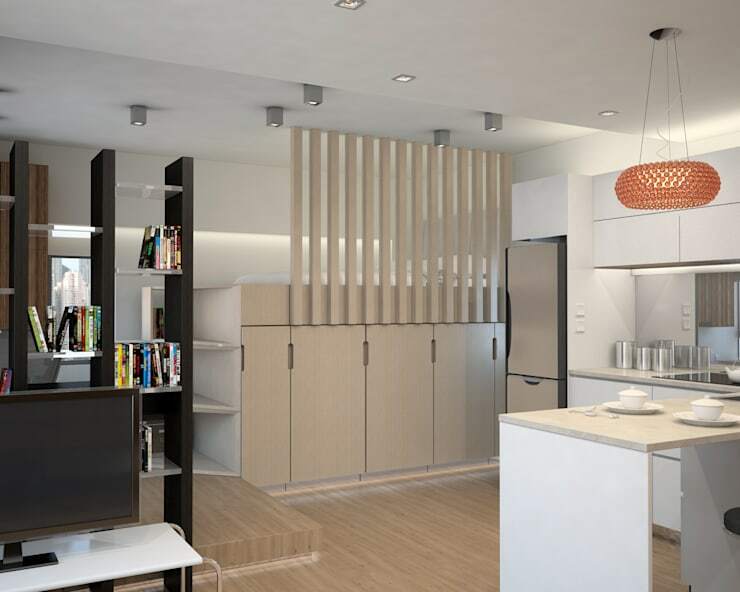 This one comes to us courtesy of Hong Kong interior designers and decorators Nelson W Design. 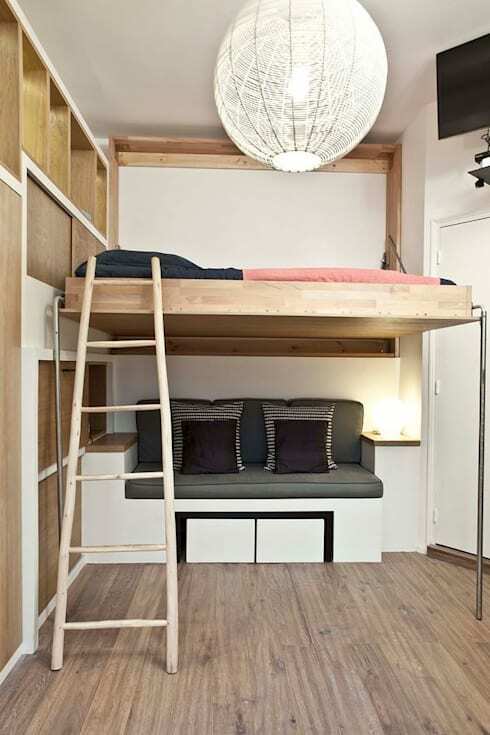 This tiny wooden loft bed has been constructed with a half wall. It makes the bed feel like a cocoon and whittled the floor space down to an absolute minimum. Note the wall-mounted bedside lamps—they are a must in any tiny bedroom loft! 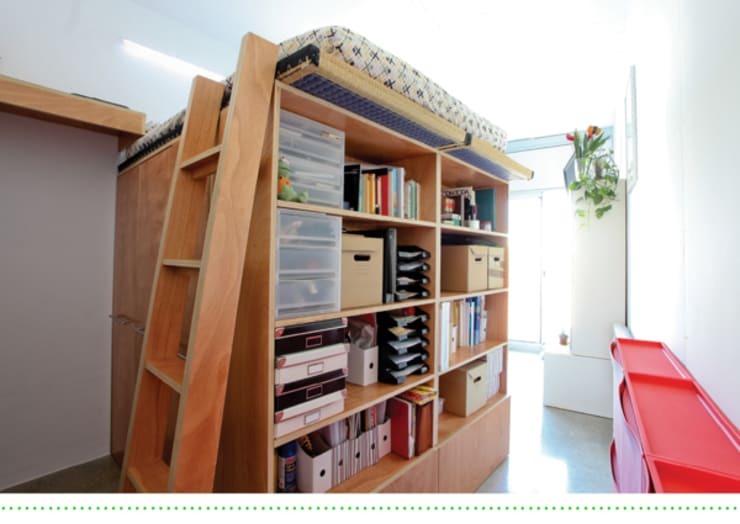 It can be tricky to find space for a sleeping loft in an odd-shaped space. This can be surprisingly difficult to execute in a small square room as well. But a free standing bedroom loft like this could work. 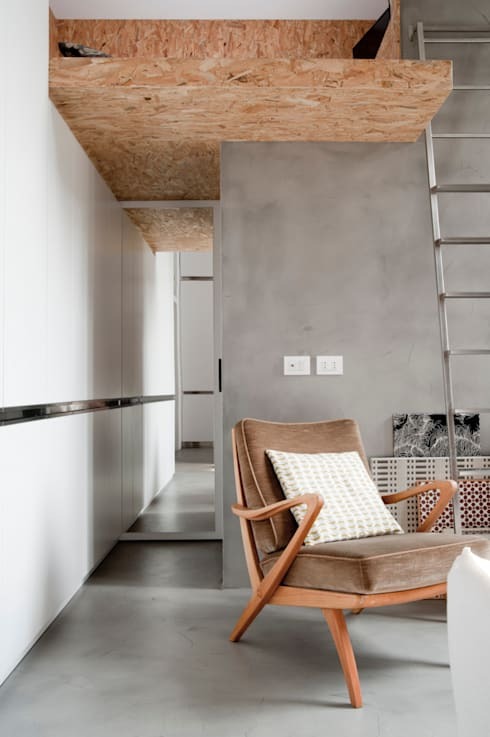 We love the hidden study or storage space underneath. This wooden country cabin has a classic peaked roof that creates the perfect space for a bedroom loft. It's utterly cute, cosy and perfect for small living. Glitzy interiors can be a little overwhelming at times, so we decided to include this simple wooden loft. It forms a little hallway around this one room apartment and provides lots of storage. Best of all, it's a totally accessible DIY project. You might even cover up the open shelves with some white curtains for a more minimalist look. When it comes to tiny living, impossible is nothing! Just check out the sleeping loft in this hallway. It fits around the corner of this living room just perfectly. It is made from hardy processed sheet wood and the ladder is made from simple aluminium. 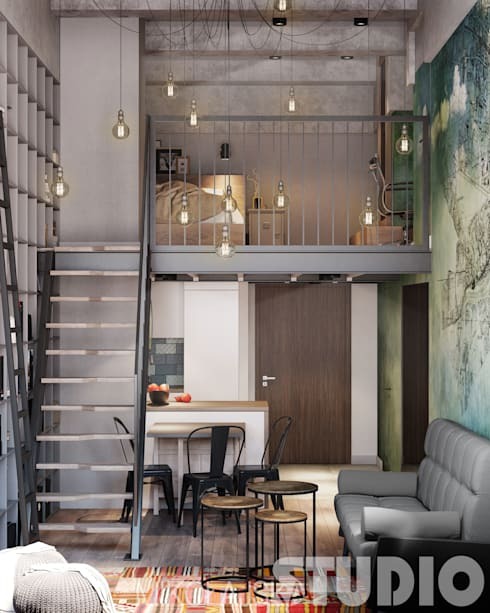 This is definitely a sleeping loft with industrial chic! 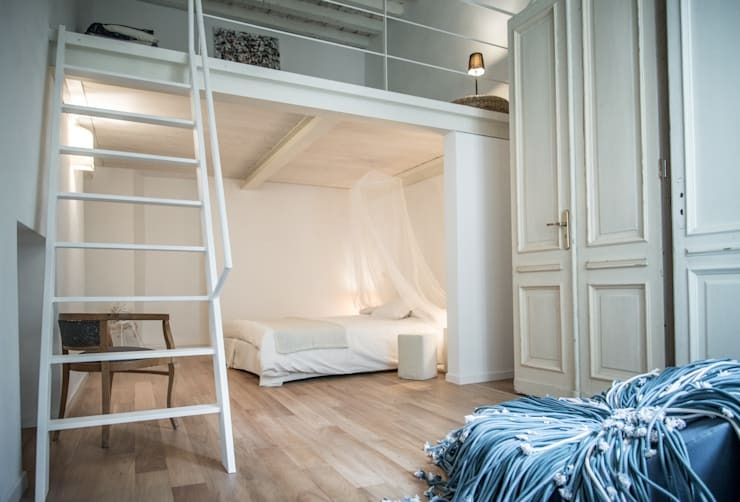 Sleeping lofts can run the danger of taking up an awful lot of visual space in a small home. So chunky or heavy designs are generally best avoided. Look at this elegant sleeping loft for inspiration. The frame is white, blends into the walls and the design is extremely fine. 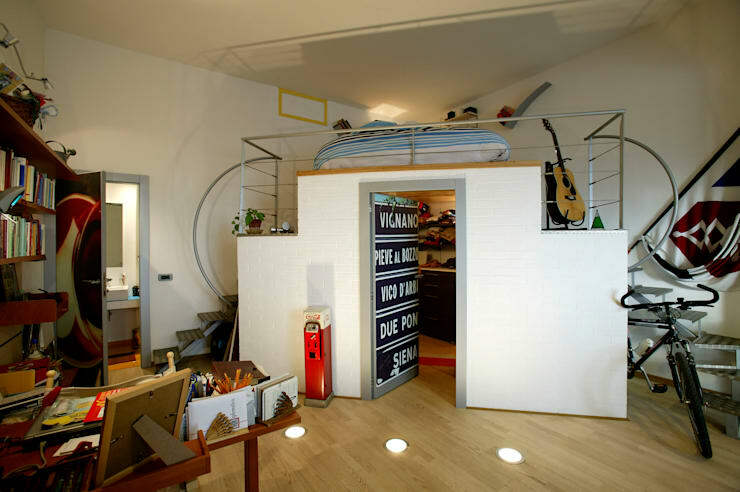 Strictly speaking, this sleeping loft functions as a living area. But it could just as easily work the other way around. We love the transparent glass barrier and the simple wooden steps on the side. Note the tiny storage shelves built into the risers. This is definitely a loft for those with high ceilings. The ladder is very steep and the height of the room has been accentuated with a gorgeous collection of antique light globes. Let us know which sleeping loft here is your favourite! Just use the comments field below.